The al-Yarmouk district, home to Syria's Palestinian refugee community, fell to a rag-tag collection of militias in late 2012 and was subsequently divided into zones of influence by Nusra Front* (al-Qaeda's Syrian franchise) and the Free Syrian Army. The militants quickly turned the territory into an urban fortress, using it to lob mortar fire into the center of Damascus, about 8 km to the north. Further offensives led to the militants capturing neighboring districts, including the strategic M5 highway linking the capital to the country's south. During their reign here and elsewhere along the highway, the militants would indiscriminately snipe at passing vehicles, effectively rendering the international highway unusable. In April 2015, al-Yarmouk came under "new management," with Daesh* declaring war on other jihadists, as well as the remnants of the FSA. The conflict was escalated further by the Palestinians, who split between those supporting the militants, and the Popular Front for the Liberation of Palestine, who allied with the Syrian government. For three long years, al-Yarmouk remained under the control of the self-proclaimed "caliphate," with the Syrian Army, joined by Russian air support in September 2015, busy with offensives in other strategic areas of the country. By the spring of 2018, however, following successful operations to liberate Aleppo, strategic areas in northern and southern Syria, and broad swathes of territory in the country's east, the Syrian Army finally turned its gaze back to the capital and its suburbs, launching Operation Damascus Steel to clear terrorist-held eastern Ghouta. Between mid-February and early April, Syrian and Russian forces, supported by pro-government militias, took on some 20,000 jihadists holed up in the area. Divided up into several pockets and forced to surrender (although not before a false-flag chemical attack blamed on Damascus prompted US, French and British airstrikes on April 14) the Ghouta militants left the suburb together with their families for Idlib province, the last major jihadist stronghold in the country. On April 19, four days after Syrian troops entered Douma, the Syrian government issued Daesh and Nusra Front remnants in al-Yarmouk an ultimatum: withdraw immediately or face destruction. The jihadists rejected the offer, and within 48 hours government troops launched an offensive in the districts of al-Khader, Sheikh Zazi, al-Aswad and al-Yarmouk, prompting the militants to lose some 150 militants in the course of a few days. With their painstakingly prepared defenses quickly breached, the militants began to surrender on May 1. A pocket of militants remained trapped in central al-Yarmouk, surrounded on all sides and facing constant shelling. On May 20, buses arrived in the region to take the last major group of rebels to eastern Syria and to Idlib. On Wednesday, Lebanon's Hezbollah militia issued a press statement congratulating the Syrian people and the country's government on the liberation of the last Daesh strongholds in Damascus. Pondering the Syrian Army's next step, Russian military observer Andrei Kotz suggested that there is now every indication to suggest that the next major offensive will be in Daraa, a small but strategic city in southern Syria on the border with Jordan. Syrian media have reported movement of Syrian forces along the freshly cleared M5; earlier, the Syrian Air Force dropped several thousand leaflets on militant-controlled towns in the region, including Tafas, Da'el, and Museirib, urging fighters to lay down their arms and accept the terms of peace or face attack. And while the jihadists have yet to publicly announce their decision, the final goal of the operation will undoubtedly be the small village of Nasib, containing a border crossing point into Jordan, according to Kotz. As for Idlib, Kotz suggested that pressure will likely increase on that province as well, given that upwards of 30,000 Daesh fighters and thousands of other militants are now holed up there; many evacuated to the region after the liberation of Aleppo, Ghouta and other strategic cities. 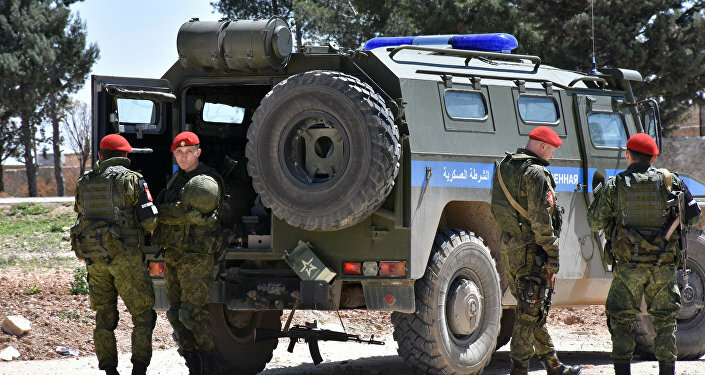 Last week, Russian air power intensified its strikes in the province after an effort by terrorists to stage an attack on the Khmeimim air base using makeshift drones. The Idlib conflict is also complicated by infighting between militant factions, including Nusra Front and the lesser known Syrian Liberation Front, a Salafist Islamic fundamentalist group, with the two fighting it out for control of the territory. * Terrorist groups outlawed in Russia.